Private Tax Advisors are individuals or organizations specializing in tax law, and providing personalized service to clients. They are financial experts specially trained in tax law, and their main objective is to minimize the tax liabilities of their clients. 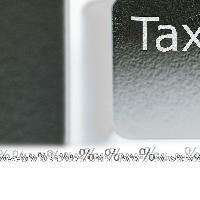 They create optimum tax strategies for their clients, which helps them to minimize their tax expenses. Many a times, along with taxation advice and guidance, clients also require other services like capital raising, looking for new investment opportunities, searching for prospective buyers for any disinvestment plans, business and financial consultancy, etc. While you can provide the best possible service in matters relating to taxation, including advice on matters related to taxation in emerging markets, you might not be able to deliver these additional services. Also, as a Private Tax Advisor, it is best for you to concentrate on what you specialize in – Creating the best possible tax strategies to minimize tax outgo and maximize benefits from various tax deductions. You can leave the execution of your clients' capital, funding and investments requirements to us, based on our proven Capital Matchmaking and Ownership succession expertise. Above all, given the competitive market conditions, it will be getting tougher for you to win new clients. With the help of our V4G Partnership Alliance Program, you can keep track of latest industry trends, establish a direct connection with top line industry professionals, generate new client leads, and reach new heights in your career. References of your clients who require services outside your primary expertise – these services may relate to capital funding, ownership succession, divestiture services, etc. or any of the other services provided by our Partners. Apply now to be considered for the V4G Partner Alliance Program. You just need to fill out a short form to get started. Join us today as a preferred Private Tax Advisors and get closer to expanding and strengthening your business.